Being a toastmaster is somewhat like being a parent__it’s a privilege that requires commitment. As Toastmasters, we all have a responsibility to attend meetings, pay our dues, and present manual speeches. 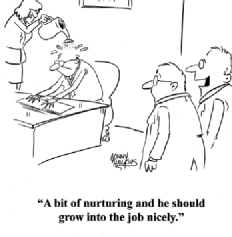 But, just as a child needs nurturing to grow, so does our district. District 26 is planning the formation of a Toastmasters Gavel Club for the Colorado Correctional Facility in Aurora. This is the first time that District 26 Toastmasters will have established a club for “deserving” members of the facility’s population. Members will have to earn the privilege of participating in the program by exhibiting good behavior and a willingness to learn public speaking and leadership skills. District Governor, Julia Davis, will be spearheading this project and is enthusiastic about the opportunity. She is seeking a few dedicated Toastmasters to help present the program. The state of Colorado will pay for the background check. If you are not familiar with a Toastmasters Gavel Club, it is very similar to a regular Toastmasters club, but the members do not pay any dues and are limited by Toastmasters International as to what benefits they are entitled to; however, they do receive acknowledgment for achieving success in the program. Participants give the same ten speeches and conduct the meeting in the same way that your club would conduct its meetings. This is a wonderful opportunity for these individuals to learn valuable skills that may help them to adapt to society when they are released into the population after their time is served.